Waste- to use or expend carelessly, extravagantly, or to no purpose. All Baby Boomers will have heard the phrase “waste not, want not” as they were growing up. Often added to it, especially around meal time, was the admonishment that you needed to eat whatever was put in front of you, as no matter what you thought of it, there were thousands of starving children in India/Africa/China who would love to eat it. Googling the phrase will even bring up “Waste Not Want Not Whakatane”, a food rescue group working to reduce food waste and ensure people in need have enough to eat. And then in the real estate sector we have Mike Pero saying “ I’d like to challenge other real estate agencies in New Zealand to consider changing from traditional plastic “For Sale” signs to more environmentally friendly options”. There are also the very worthy, and widely adopted, initiatives such as banning single use bags in supermarkets. There are numerous examples of contemporary initiatives to reduce or eliminate waste. But often there is a case to stand back and analyse with a little more clarity populist views, as opposed to uncomfortable realities. Most people would as a natural reaction be opposed to waste. But as usual, they would be opposed to waste when someone else does it – not when they do it. And quite often they would see waste as being something physical -such as food going to landfill, or plastic cluttering the ocean, rather than waste of time, or talent, or opportunity. Confusopoly has a lot to do with this. Confusopoly (also known as Dilbert’s confusopoly) is an economic and marketing term referring to a purposeful act by a seller or group of sellers to confuse the buyer in order to ease the sale. We get used to products such as mobile phone or internet plans being advertised at various prices due to different combinations of minutes, data and texts. The offers are practically incomparable, when it would be easy to price similar units of usage to allow informed comparisons. Or politicians pompously announcing the allocation of x million dollars of funding to a region, or project or even a relative, only to find later that the x million was spread over y years, most of which would be after the said politician was voted out of power, and therefore the monetary allocation reversed. It would seem that Confusopoly is hard at work in many of the areas related to waste. It is extremely admirable and virtuous that supermarkets have ceased dispensing single use bags. Particularly when the single use bags were very often part of a double bagging regime. 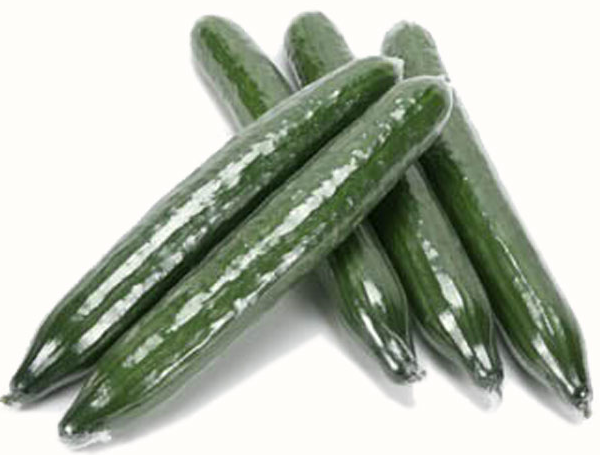 But they are still selling plastic wrapped cucumbers. It’s virtuous that they are no longer giving out single use plastic bags, although of course they now charge for the more durable ones, but hypocritical that so much else is massively over-packaged. And that is just waste in a physical and environmental sense. Waste can come in many and varied forms. The construction industry is a major producer of physical waste. And that is very often because of a simple economic equation. It’s cheaper to use a new resource than expend labour on re-purposing already used, offcuts or similar. We import labour internationally from far and wide to pick our apples and kiwifruit, when we have ample labour here. It’s just it’s easier, yet more wasteful, to fly labour in, than convince those people being paid to do nothing that they should step up. We endure years of delays on our roads due to “construction”, when for most of the 168 hours each week there is no “construction” taking place. It’s easier to delay traffic, which is waste, than speed up the construction. It's all waste. And we need to look close to home in the real estate sector just to see where the waste – often induced by confusopoly – comes from. What set us thinking was when an agent pitched a property ‘featuring a warehouse floor plate of CMU construction’. Now, that in itself does not make a lot of sense. We don’t pretend to be experts in anything. And certainly not in construction. But would have thought that a floor plate was the amount of leasable square footage on an individual floor of a building, also known as its footprint. And what is “CMU construction” ? We can understand that when a surgeon is talking to the assistant in the operating theatre they will use technical terms and abbreviations in the interests of speed and brevity. Because both know exactly what those terms mean. But when the surgeon is explaining to the patient, or their family, they will use plain English words that the non-medical patient can understand. So, as we set about researching the meaning of “CMU construction” we pondered why any agent would waste the time and energy of their potential client by using an abbreviation which needs the use of Google to understand. And how often does this occur? Most of the potential clients, whether purchasers, vendors or tenants, are not regular vendors, buyers or potential tenants of property. It is not something they do with any regularity. Therefore why would agents use arcane, or industry specific, or terms that are not widely used, in their pitch? We make the presumption that the agent is not deliberately trying to alienate the client. So why waste their time by failing to use clear, simple and plain English? Just more waste. There are other examples of waste very close to home in the industry which continue to amaze us – with wasted opportunity being the most prominent. An agent advertises a property. The potential client telephones and emails. No response. The potential client telephones and emails yet again. Finally a response. The potential client asks for information to make a reasoned decision. The information is not forthcoming. The agent does not communicate. Opportunity lost. What a waste of everyone’s time! And what a waste of the agency’s marketing budget, when the individual agent has negated the warm fuzzy images the marketing creates. Perhaps we need to take the blinkers off and think of waste in areas other than food to landfill and single use plastic bags – as important as those issues are. Waste is all around us. It’s just that often it is not in the form that fills a rubbish bin and is carted to the dump. But it is equally as wasteful. And …. Google tells me that a CMU is a concrete block. Why couldn’t he just say that?